We all want to be royal, and so does Donkey! Donkey decides he will take action and become the new king of the forest. But will he be able to keep all the promises he made? See how Donkey makes it through this one in "Donkey Wants to Be King". 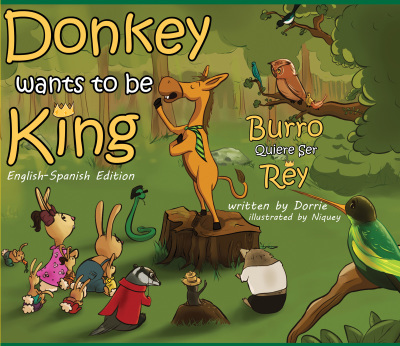 "Donkey Wants to be King" English-Spanish Edition is the first in the Donkey series. Now available! 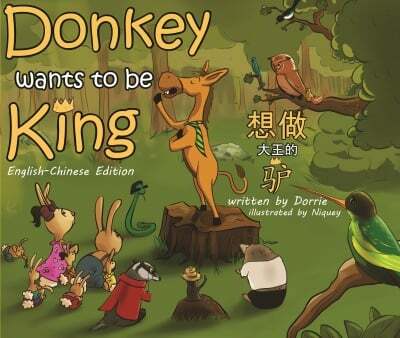 The "Donkey Wants to be King" English-Chinese Edition! I love this story! It teaches a beautiful lesson and my children get to practice their Spanish because it is comes in both English and Spanish. I love this book! Received it as a gift for my son who is learning Spanish in preschool. Very good story. Very good children's book. It is written in both English and Spanish which is helpful for children (and adults) who are learning a new language. Looking forward to Volume 2!